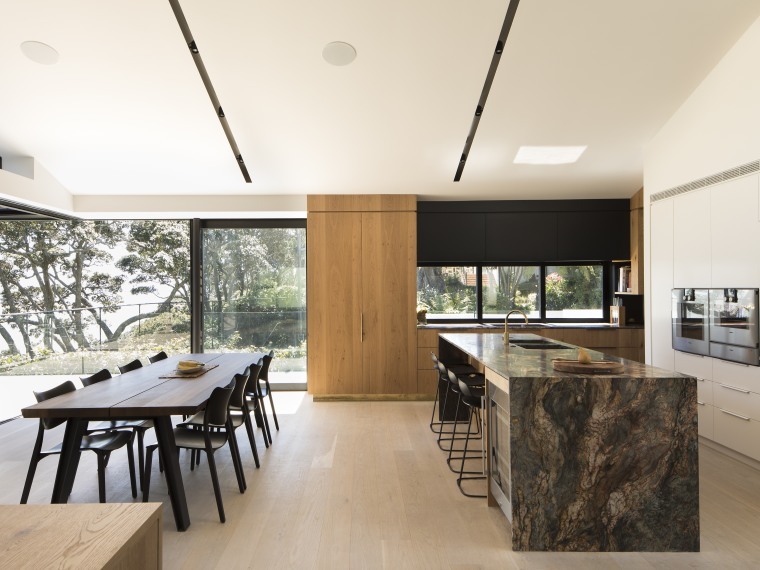 While this island’s marble waterfall benchtop doesn’t dominate when the kitchen is viewed from the dining area, it has a dramatic impact as the first thing you notice when you enter this area from the adjacent hallway. With the number of choices available today, looking for a new countertop can seem overwhelming. 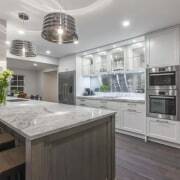 But this variety is actually a good thing, and finding the right material for your kitchen isn’t altogether difficult once you understand the pros and cons of the various options available. Take a look at our guide below. You’ll likely feel much better about making a decision! 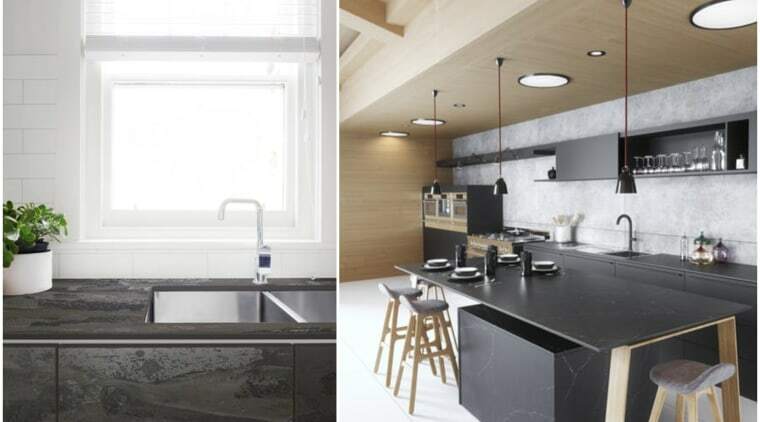 Natural stone is a durable and stand-out kitchen material – and for good reason. 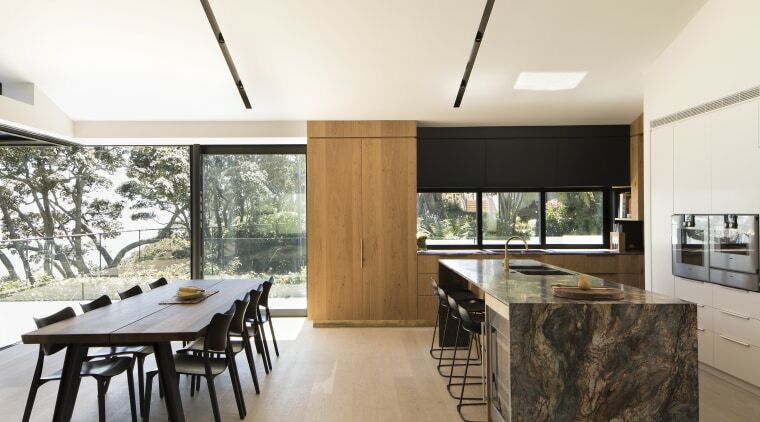 Granite, slate and others come in a range of colours, and the slabs come in sizes that mean they can be installed without seams. It’s definitely a high-end look! Stone is usually treated with a sealer to make it stain resistant, meaning it lasts for upwards of 10 years before requiring resealing. However, it can be quite expensive, meaning it’s not a good choice if you’re trying to manage a tight budget. 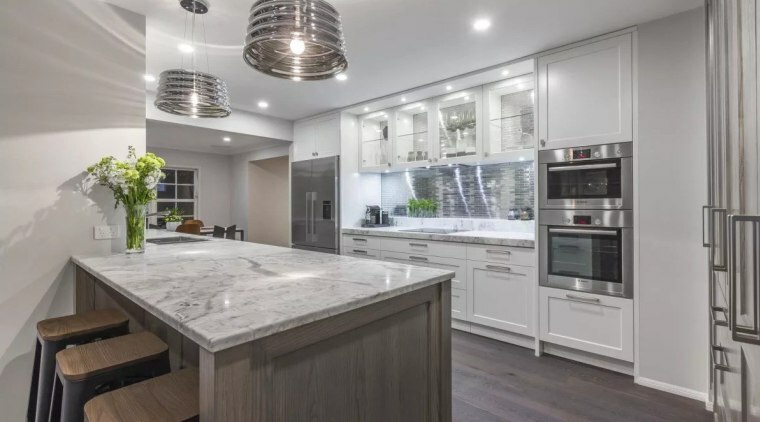 Engineered stone is a composite material made of crushed stone bound together by an adhesive, with the two most common stones used being marble and quartz. 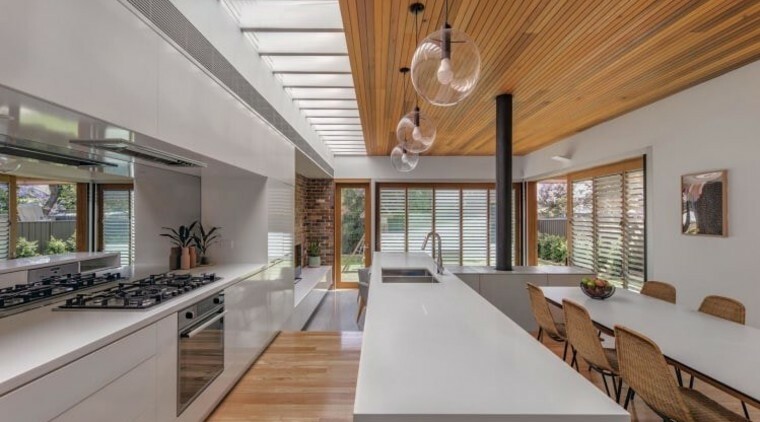 The most common use for engineered marbles is for indoor flooring and walls, while the quartz based product is used primarily for kitchen countertops. There is a wide range of colours and styles available, and you'll have all the aesthetic and functional advantages of stone itself. While the Spanish revival or Tuscan villa look may have dominated the conversation in the past, the ceramic tile space looks a little different now. It's a stylish material that can give your kitchen a different look. A popular option is the large ceramic tile, which is essentially a large sheet you lay down as your countertop. One of the best features is that the tiles are exceptionally tough – you'd really struggle to break them. They're also easy to clean and available in an array of colours and textures. It doesn’t get much better than marble if you want something that’s timeless and exudes elegance. There’s a reason you see this in celebrity homes! Marble is perfectly suited to hide light stains. It’s also seamless. However, it needs regular sealing to keep it stain resistant. 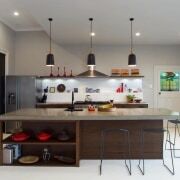 Laminate tops have been around for some time – think 1960s diner style. This material is made up of kraft paper injected with resins, resulting in a durable surface. You'll see laminate tops in many high-end kitchens thanks to it's classy look and durability. It’s available in a wide range of colours and patterns and also affordable compared to some of the other options. 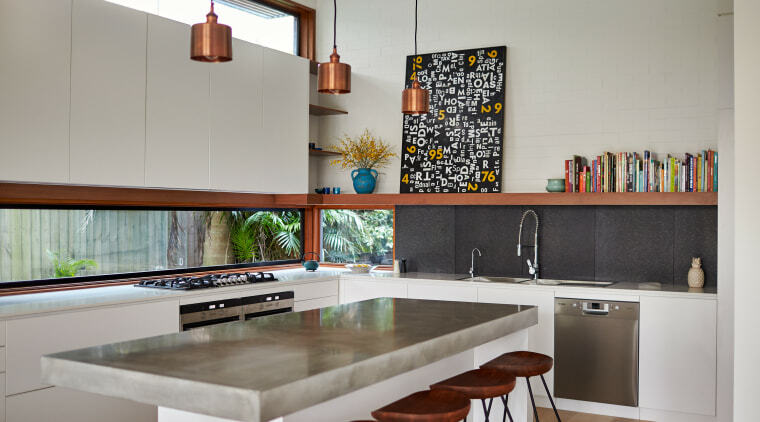 A recent design trend, concrete benchtops particularly suit industrial style kitchens. It’s expensive, but you can cast concrete into nearly any shape you require. Resistant to damage and heat, concrete also looks interesting. But it can be expensive given the custom nature of the installations. Wood is a warm, traditional material. 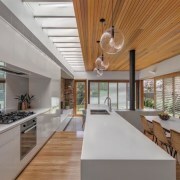 Wood benchtops are commonly made of timber, oak or rimu. Wood is easy to clean, warm and can be fixed easily in the future by re-sanding and resealing. While susceptible to water damage over time, it can be protected by occasional resealing. 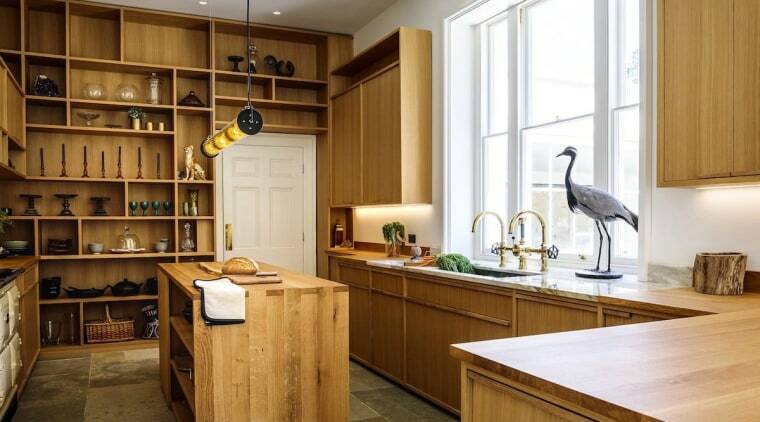 European Oak is a real classic for kitchens. A light to medium toned timber, it has a warm character both in the grain and the end grain. You can see Timbertop's offering here. If you're looking for durability and elegance, quartz is an excellent option. 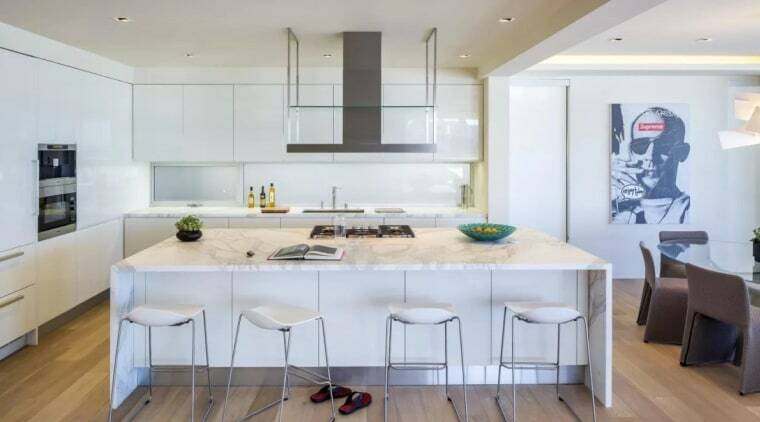 These benchtops are manufactured from natural quartz, which is one of the hardest minerals available. They're also non-porous, meaning wine spills won't be a problem. 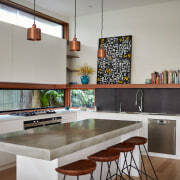 Cosentino offer a quartz surface called Dekton. This is what's known as an 'ultracompact surface', and is made up of quartz, glass and porcelain.